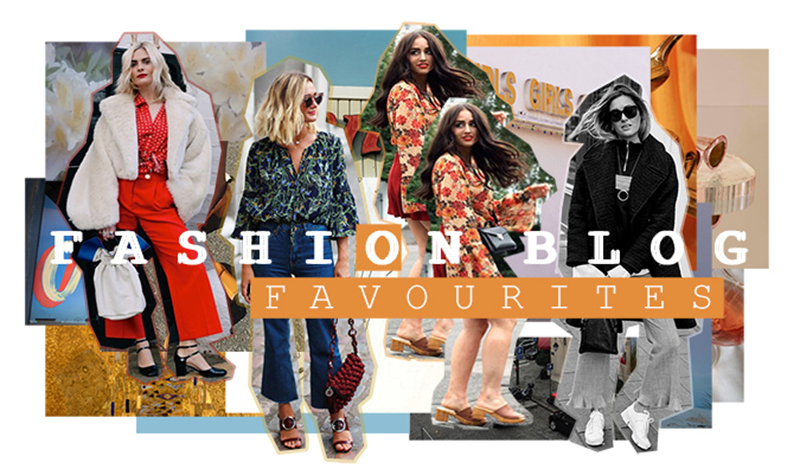 Following on from my previous post divulging the recent evolution of fashion blogs, I thought it would be apt to share my favourites, to keep the love going and all. I will have had a fashion blog for four years this September (only 3 of which have been on this platform) and my interest in such has not wavered one bit - for my own person musings and the content of other fashion bloggers - if anything, I would say such has spiked over the years. There is nothing I love more than discovering new blogs to read, and there are those that I love for both their style and their words, the latter it is after all, what makes fashion so intriguing to me, I adore a good story. While the ever changing face of fashion blogs continues to evolve, something which will carry on thanks to the ever growing influence of Instagram as a preferred fashion platform, as long as the fashion blog stays put, as a solid, living platform then, I will be happy, regardless of general, wavering interest. After all, the influence that some of the most popular fashion bloggers still hold is something not to be doubted, and so still, proving that it is not a dead platform. 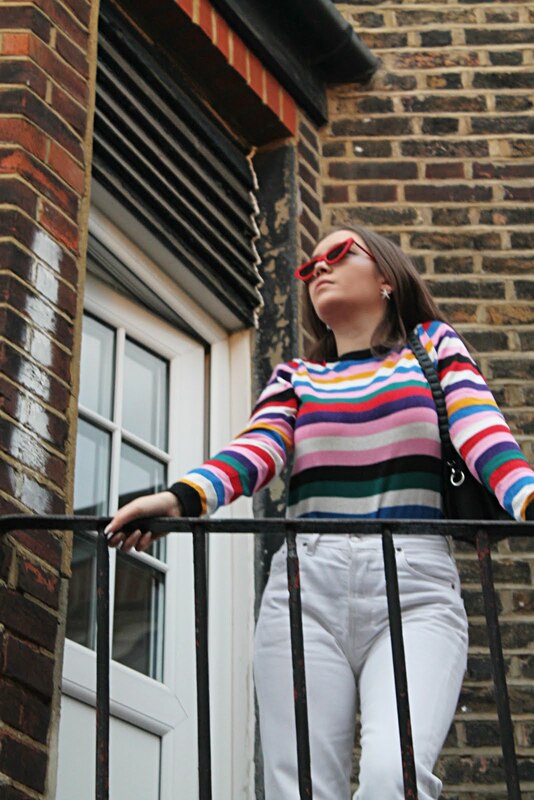 Fashion blogs - the ones that I favour most - are still one of the most innovative sources of inspiration, for both my personal style, and my writing. 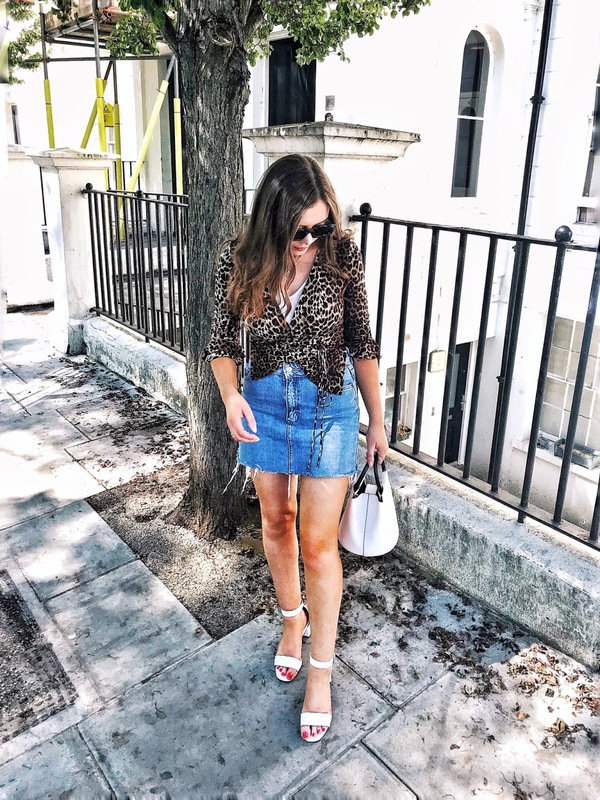 And, while there are a countless number of fashion blogs that I follow, there are a select few that I check loyally, independent of the Bloglovin' frame, everyone has their favourites after all, and these are mine. You may probably already be aware of these standout few, but nevertheless, follow at will - you will not be disappointed by any means. It would be foolish to not begin this list without first mentioning my favourite fashion journalist, Pandora Sykes. As Fashion Features Editor for The Sunday Times Style Magazine and Wardrobe Mistress, Pandora's style is equally as alluring as the words she chooses to describe them. One thing that stands out the most however, are her social commentary posts and those on the fashion industry. I am yet to read a post that I do not like, something which with Pandora's engaging writing will surely never happen and while this is a blog that I check several times a week - a rate reserved for the most favoured, clearly - I do although, have a few favourite posts of the bunch. Her post 'Sometimes I Feel Guilty For Writing About Clothes' really resonated with me, I feel it conveyed everything I had been feeling about fashion and wanting to work in the industry. 'High Anxiety' is equally as nail on the head, as is 'Is The Underground Your Ultimate Sartorial Gauge?'. Whatever she writes about, Pandora just gets it right. Sophie Milner is the blogger behind Fashionslave.co.uk, alongside being a fashion writer, a career which is obvious from the quality of her posts. Her writing ranges from personal style, 'think pieces' and relatable, real life honesty on topics such as contraception and such makes Fashionslave always an intriguing read. Sophie's styling is ever alluring, as is her social commentary honest and of course, funny. These qualities have led Fashionslave to becoming one of my most favoured and frequented of fashion blogs. Slightly different to the previous two, and with good reason, while Adenorah is fashion editor, she is also French. With nearly the entirety of her blog written in the enchanting French language, my AS Level in French can only get me so far on the written content, a limitation which is certainly a shame as personally, I adore a blog for both its quality in image and writing but, it is sadly only a dream to understand French fluently, in all of its romantic yet confusing tenses. However, the effortlessly stylish French sartorial way is by no means lost between my bad translation. 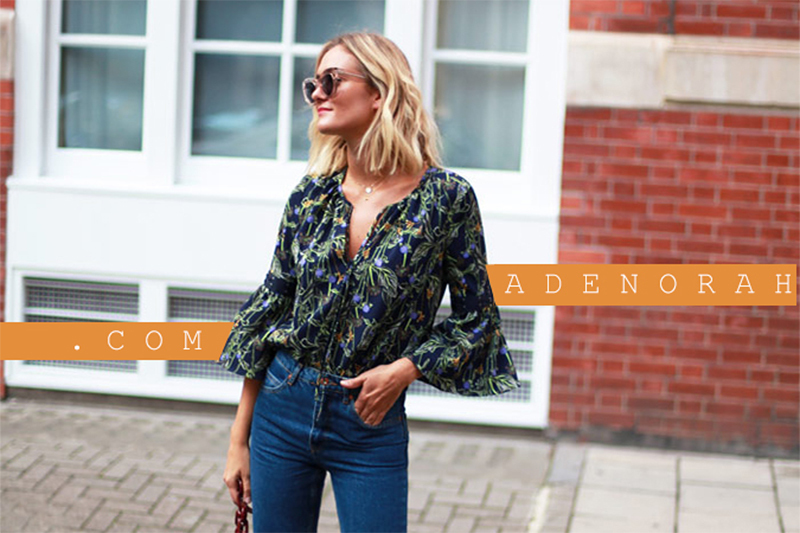 Adenorah's style is one of the most desirable I have found - high-rise cropped frayed jeans are a common feature - and are typically paired with a silky shirt or jumper alike. The effect such ensembles have on me is always so inspiring in terms of what I wish to emulate with my own wardrobe let alone the shoes or, a certain wicker bag. If anything, her Instagram is an easily digestible dose of her alluringly stylish life, and if those pictures of Paris views don't make you jealous then I don't know what will. 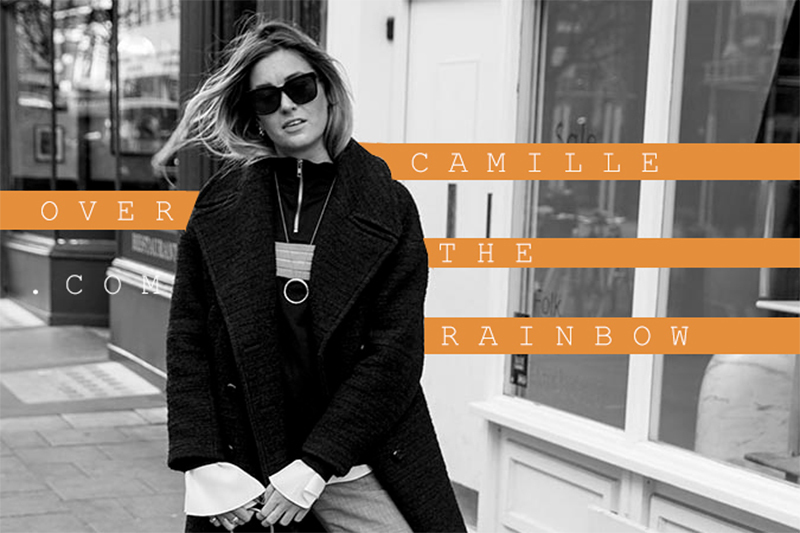 Camille, a Parisienne who now resides in London, oozes effortless chic. Her stylish approach to attire is a standout one at that with laid-back, swishing silhouettes the usual uniform featuring on her blog. Pleated midi skirts, wide-leg trousers and a ring handle bag are all but a wardrobe envy, that, and some frayed jeans and a little of the Celine dream. Camille, now a freelance fashion journalist ,(seeing a trend here?) certainly knows her fashion. There are certainly a whole other multitude of fashion blogs not featured in this post that I enjoy reading but, a few notable blogs are writtenbytasmine.com, pagesbymegan.com, thelittleplum.co.uk and fashionvibe.net. I am always on the lookout for new blogs to follow so do let me know your favourites, a good blog is fresh inspiration at its finest.